Except for himself, no one knows what triggered Australian Nationals’ senator Barry O’Sullivan’s outburst of racial invective against the Chinese last Tuesday. During a Senate estimates hearing over the proposed Biosecurity Imports Levy in Canberra, Mr O’Sullivan declared that “some bloody old Chinaman” bringing in “his favorite sausage down the front of his undies” poses more risk to Australia’s biosecurity than levy-paying importers. Such disgusting remarks, which are definitely unacceptable in any civilized society, have naturally sparked the “sternest” condemnation from the Chinese embassy in Australia. Even the Australian Human Rights Commission’s race discrimination commissioner has termed Mr O’Sullivan’s comments as “racially derogatory”, and said they would be “offensive and insulting to many Australians, including more than 1.2 million Australians of Chinese heritage”. But this is not the first time that Mr O’Sullivan has courted controversy with such offensive remarks. He has previously been criticized for making sexist comments about a Greens senator, and sparked outrage for voicing an “appalling and offensive” slur against people with autism. The fact that the prejudiced politician can continue staging ugly political stunts by going to the extremes throughout the years is a disgrace to democracy, and reflects an ugly side of Australia’s political culture. But it is not completely coincidental that racial filth like that made by Mr O’Sullivan should make its way into Australia’s major political arena. Canberra’s increasingly anti-China stance, especially after it introduced national security laws to guard against what it perceives as China’s growing influence in Australia’s politics, academia and media, has certainly fanned xenophobia that targets China and the Chinese people. Australia’s decision to block Chinese telecommunications giant Huawei from supplying equipment to its 5G broadband network, and allusions by some Australian media and politicians that China is the “state actor” behind the recent hacking of the networks of Australia’s major political parties indicate how closely Canberra is trying to toe the line set by Washington, even at the cost of its relations with China. This sounds absurd to any person of reason, for China has never done any harm and poses no threat to Australia. 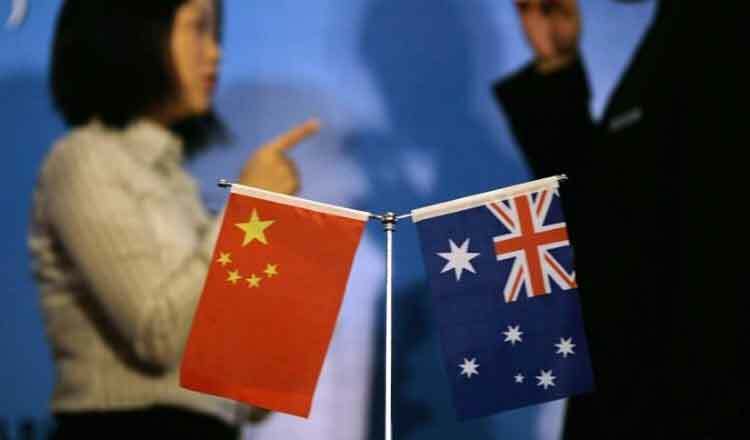 As its largest trading partner, China is the top importer of Australia’s iron ore, liquefied natural gas and many other resources, which is mutually beneficial to the economic growth of both countries. Given his outrageous political history, it might not be realistic to expect Mr O’Sullivan to mend his ways and behave civilly. But it is still not too late for Canberra to rethink its policy toward China to avoid causing more damage to bilateral relations. My own private opinion and no-one else’s. Sure the politician’s remarks were out of line, completely, but lets not talk about how badly offended China is. Crocodile tears. What is truly appalling and offensive is China’s treatment of its ethnic minoroties, of the Falung Gong practitioners, of its own people’s will because of non-existent political opposition, the peopel of Hong Kong losiing their freedoms, Tibetans…. Anyone offended by any of that? I’ve always despised this “O’Sullivan” ever since I heard the story of that very-mean-spirited & ignorant Autism remark he made, coupled with the fact that afterwards he couldn’t even muster the basic decency to apologise for the upset that he caused, despite numerous calls to do so. He is nothing but a piece of arrogant, ignorant turd with an utterly rotten attitude.